New Students learn Vipassana by taking an intensive, residential ten-day course. Instructions are provided by S.N. Goenka on video and audio tapes. One or more assistant teachers are also present to provide guidance and answer any questions about the technique. After reviewing information about the program, course requirement, and the Code of Discipline, you can check the Course Schedule to see which dates are available and register for a course either online, by fax, or by mail. To register by fax or by mail.Contact here. Each students who attends a Vipassana courser is given this gift by previous student. There is no charge for either the teaching, or for room and board. 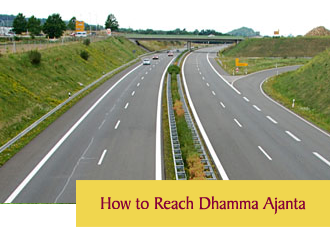 All Vipassana courses worldwide are run on strictly voluntary donation basis. At the end of your course, if you have benefited from the experience, you are welcome to donate for the coming course, according to your volition and your means. Actually, the ten-day course is the minimum; it provides an essential introduction and foundation to the technique. To develop in the practice is a lifetime job. Experience over generations has shown that if Vipassana is taught in periods of less than ten days, the student does not get a sufficient experiential grasp of the technique. Traditionally, Vipassana was taught in retreats lasting seven weeks. With the dawning of the 20th century, the teachers of this tradition began to experiment with shorter times to suit the quickening pace of life. They tried thirty days , two weeks, ten days, down to seven days—and they found that less than ten days is not enough time for the mind to settle down and work deeply with the mind-body phenomenon. Courses size varies, ranging from approx. 20 to 90 students. Courses that fall during a holiday generally have higher attendance. There are single as well as double occupancy rooms with attached and non-attached bath. Also there are dormitories with common bath facility. It is not possible to cater to the special food requirements of all the students, coming as they do from so many different countries and culture. The students are kindly requested to make do with the simple Indian vegetarian menu provided. If a student has been prescribed a special diet because of ill health, he should inform the Management at the time of registration.